Our new and improved Microfibre Wash Mitt allows for swirl-free washing while lifting and trapping the dirt. 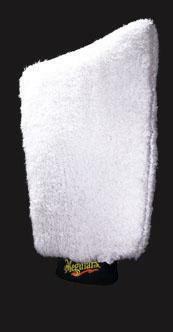 This super soft Microfibre Mitt provides a gentle wash action and is machine washable. Absorbent microfibre carries more suds and water. Plush microfibre loops lift and trap dirt and grime away from the surface to prevent scratching. The ultimate wash mitt for show car perfect finishes.